With Teamup mobile apps, you can access your calendar even if you can’t connect to the Internet. 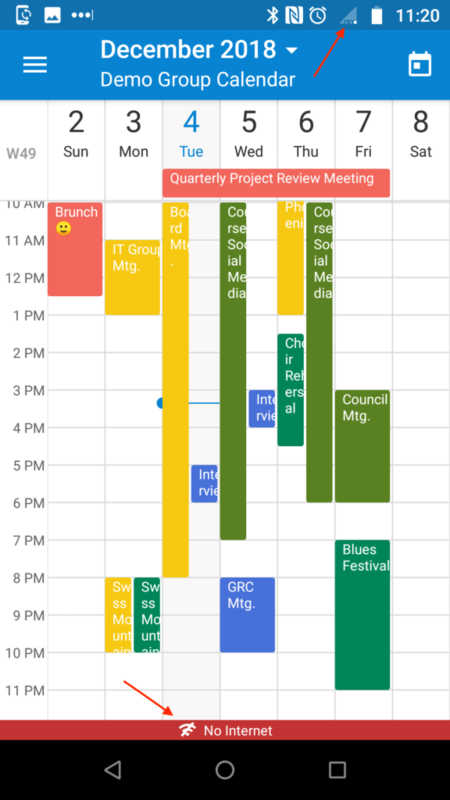 Even if you have connectivity issues with your device, are away from wifi, or are on a plane, you can still work with your calendar. On the Teamup mobile apps (available for iOS and Android) you can view your calendar(s) even when offline. Open the Teamup app as usual, and you can navigate between calendar views and see all scheduled events and appointments on your calendar. You can tap an event to open it and see the event details. Internet access and mobile data are turned off, but the calendar is still accessible. 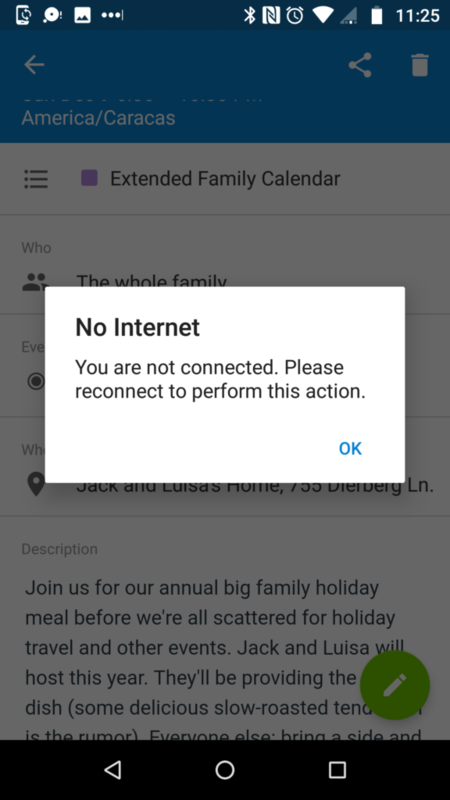 An error message will prevent attempted calendar changes while you are offline. You can create a new event when accessing your calendar offline. When you save the new event while offline, a small yellow triangle will appear on the event, indicating that it is not yet synced to the server. Note that once you save the event, you will not be able to edit it (until you are back online.) Once you are online again, all unsynced events will be synced to the server immediately.